How you can meet a new love and still stay safe? It’s exciting, but remember, you don’t actually know this person, so it’s only sensible to set some ground rules – particularly in light of reports this week that a woman was abducted and raped on Dublin’s M50 by a man she met via the mobile matchmaking app Tinder. “There are genuine people seeking romance via social media,” says counsellor and relationship therapist Mary Kenny. “But there are also a lot of predators out there who use it as a way of targeting vulnerable women and men,” she says. If you’re arranging a rendezvous with someone you’ve only met through social media, speak with that person on the phone rather than texting or messaging on Facebook. “You can get a slightly better sense of them that way,” says Kenny. Research your date, says Feargal Harrington, director of Intro Matchmaking, which arranges 100 dates every week in Ireland. “Befriend the person you’re thinking of dating, either on Facebook or Linked-in in advance of the date. This means you get to read their history, who they are and who their friends are. “Start the research as soon as you get a ‘yes’ message from Tinder or one of the other apps such as Plenty of Fish, he advises. If things don’t look right and it seems as if a Facebook page has only been set up in the last couple of weeks or, indeed, if there is no social-media information available on this person, you may need to be cautious. – Ensure that you’re the one to choose the location of the rendezvous. – Arrange to meet in a public place for lunch or dinner rather than for drinks or coffee. “Don’t meet for shots in a pub,” says Harrington. 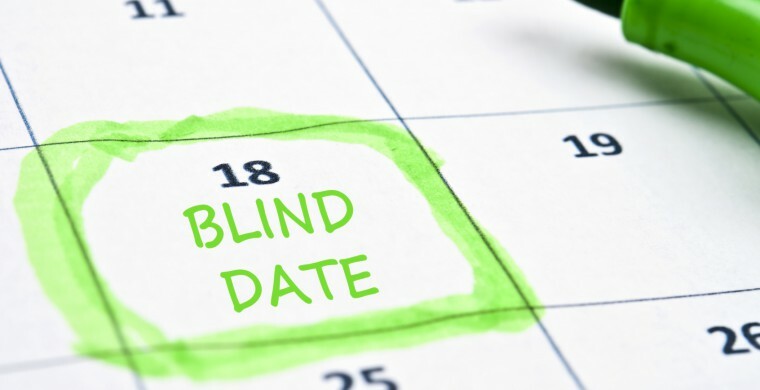 – Refuse to allow a blind date to pick you up at your home and insist on meeting instead at the selected destination. – Tell a friend or family member where you are going and who you are meeting. – Mention to your date that you’ve told a friend or a parent about the planned rendezvous. – Ask a friend to call you during the date. This can also be a great get-out if you feel uncomfortable or insecure, says Harrington. – don’t give an unknown date an opportunity to spike your drink, says Harrington. – Your date is being very cagey or secretive, and is slow to reveal any ordinary personal information, says Harrington. – you can’t pinpoint the reason, but trust your instincts even when the person seems charming, say the dating experts. “What’s happening is that you are subconsciously picking up on something and it is registering in your gut, so listen to it. Listen to your intuition – it’s trying to tell you something,” says Ryan. “Accept that when you know that something’s not right, then you know,” says Harrington. If you are feeling deeply uncomfortable, he suggests that you say that need to go to the Ladies. Then, once you are out of your date’s sight, notify a member of staff, explain that you’re not feeling well and ask them to call you a taxi – and to wait with you until it arrives. These could include not going anywhere else with this person until you know him, not leaving the restaurant or public place with him, and not agreeing to go anywhere “more private”.